Dr. Raul Olivares began working in assisted reproduction in 1996. In 2003 he created one of the first Spanish international Departments in the Institut Marques, and was its Director until 2010. 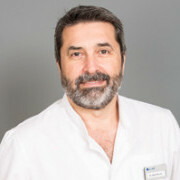 He became the medical director of Barcelona IVF in 2010.